This thrillingly modern crime drama buzzes with fresh talent and ideas. That’s the exciting sound of a new generation rising up the ranks in New Blood, BBC’s new drama. 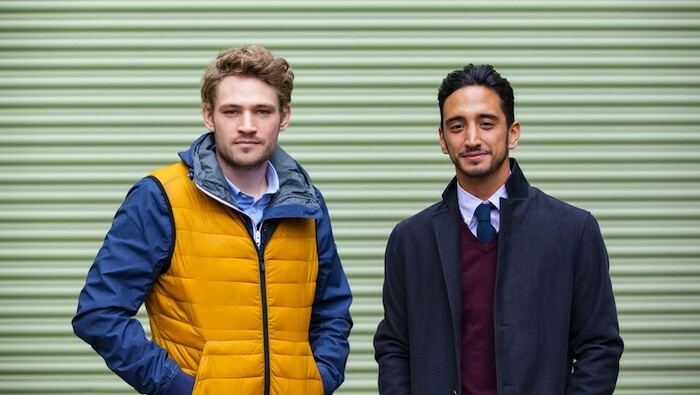 The show follows Stefan (Mark Strepan) and Rash (Ben Tavassoli), two junior investigators tackling killings, corruption and conspiracies to boot. But this isn’t your average detective procedural: New Blood lives up to its title like a fresh rush of red stuff to the head. Our main duo may be an odd couple on the right side of the law, but they spend half of their time dealing with even more serious problems than a bizarre string of maybe-homicides unfolding across the capital. Problems such as messy roommates who don’t pay the rent and where they’re going to live if their landlord chucks them out. One brief moment sees Rash attempt to view a property the morning after missing an appointment, only to find out it’s already been snapped up by another tenant. It’s the kind of detail that gives New Blood a real dose of, well, reality; these are the sort of issues that worry young Brits today, in a society where the line between the have and have-nots has turned into a gulf. It might be surprising to learn that the man behind such a series is veteran of the screen and page Anthony Horowitz. The cast bringing his excellently attuned script to life, though, are as fresh as they come: Strepan and Tavassoli are both in their first BBC primetime roles here and they spend most of the time stealing scenes away from the rest of the cast (no mean feat, given the ensemble includes the always-excellent Anna Chancellor). Strepan’s Stefan is an immediately likeable outsider, who has no problem deceiving his way through everyday life, whether it’s pretending not to speak English or snooping through his boss’ office. At one point, that snooping leads him to a party full of richer, older men and he slips smoothly into the background, while still sticking out like an awkward sore thumb; a performance that perches neatly between comedy and suspense. His frustration at the people he lives with, though, immediately marks him out as a good egg. 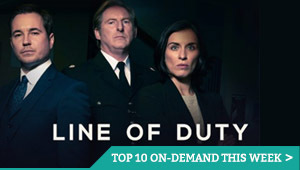 Tavassoli is just as brilliant as Rash, who aptly acts on every detecting impulse without pausing, whether it’s in the office or at a murder scene – frequently to the annoyance of his partner, Detective Sergeant Derek Sands (the hilariously brash Mark Addy). “Nobody likes someone who’s right all of the time,” sulks Derek, as Rash continues to crack their case regardless. It’s great to see Iranian-British and Polish-British main characters in a mainstream programme – a welcome reflection of multicultural Britain that adds authenticity, not least by being so underplayed. Indeed, aside from a nicely observed marathon motif, Horowitz smartly waits a whole two episodes to bring his entertaining duo together properly, which gives us time to get to know each one – and to delve into the mystery at hand. The initial three-episode enigma goes all the way back to the dark opening sequence, which director Anthony Philipson shoots with a splash of horror. That tone continues throughout the show’s opening parts, with editors Adam Bosman and Edel McDonnell (who have history on the stylish River and beautiful Broadchurch respectively) adding an edge to proceedings that sets the show apart from your typical crime series. It’s reinforced by the subject matter, which combines everything from fraud to pharmaceutical trials and the financial underworld, pitting our youngsters at the bottom of the career ladder against those higher up the chain. It’s not quite as straightforward as that, though; shades of grey and ambiguity abound, not least among our protagonist’s colleagues, which adds to the story’s modern feel. 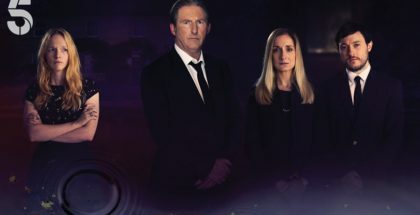 It’s fitting, then, that the opening three episodes (“Case One”) premiered on BBC iPlayer on Thursday 2nd June, before the full seven episodes began their weekly broadcast on BBC One. 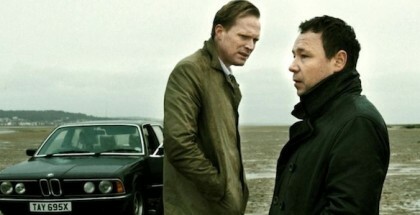 After all, New Blood doesn’t want to be a bog-standard police drama. It wants to be something more memorable than that. Judging by these initial installments, it may well succeed. After all, it’s not just gritty or sinister: it’s fun, too. New Blood is available on Netflix UK, as part of £7.49 monthly subscription.